This article is about the non-mechanist philosophy. For other uses, see Vital (disambiguation). The synthesis of urea in the early 19th century from inorganic compounds was counterevidence for the vitalist hypothesis that only organisms could make the components of living things. Vitalism is the belief that "living organisms are fundamentally different from non-living entities because they contain some non-physical element or are governed by different principles than are inanimate things".a Where vitalism explicitly invokes a vital principle, that element is often referred to as the "vital spark", "energy" or "élan vital", which some equate with the soul. In the 18th and 19th centuries vitalism was discussed among biologists, between those who felt that the known mechanics of physics would eventually explain the difference between life and non-life and vitalists who argued that the processes of life could not be reduced to a mechanistic process. Some vitalist biologists proposed testable hypotheses meant to show inadequacies with mechanistic explanations, but these experiments failed to provide support for vitalism. Biologists now consider vitalism in this sense to have been refuted by empirical evidence, and hence regard it as a superseded scientific theory. Vitalism has a long history in medical philosophies: many traditional healing practices posited that disease results from some imbalance in vital forces. The notion that bodily functions are due to a vitalistic principle existing in all living creatures has roots going back at least to ancient Egypt. In Greek philosophy, the Milesian school proposed natural explanations deduced from materialism and mechanism. However, by the time of Lucretius, this account was supplemented, (for example, by the unpredictable clinamen of Epicurus), and in Stoic physics, the pneuma assumed the role of logos. Galen believed the lungs draw pneuma from the air, which the blood communicates throughout the body. In Europe, medieval physics was influenced by the idea of pneuma, helping to shape later aether theories. Vitalists included English anatomist Francis Glisson (1597–1677) and the Italian doctor Marcello Malpighi (1628–1694). Caspar Friedrich Wolff (1733–1794) is considered to be the father of epigenesis in embryology, that is, he marks the point when embryonic development began to be described in terms of the proliferation of cells rather than the incarnation of a preformed soul. However, this degree of empirical observation was not matched by a mechanistic philosophy: in his Theoria Generationis (1759), he tried to explain the emergence of the organism by the actions of a vis essentialis (an organizing, formative force), stating "All believers in epigenesis are vitalists." Carl Reichenbach (1788–1869) later developed the theory of Odic force, a form of life-energy that permeates living things. In the 17th century, modern science responded to Newton's action at a distance and the mechanism of Cartesian dualism with vitalist theories: that whereas the chemical transformations undergone by non-living substances are reversible, so-called "organic" matter is permanently altered by chemical transformations (such as cooking). Johann Friedrich Blumenbach was influential in establishing epigenesis in the life sciences in 1781 with his publication of Über den Bildungstrieb und das Zeugungsgeschäfte. Blumenbach cut up freshwater Hydra and established that the removed parts would regenerate. He inferred the presence of a "formative drive" (Bildungstrieb) in living matter. But he pointed out that this name, "like names applied to every other kind of vital power, of itself, explains nothing: it serves merely to designate a peculiar power formed by the combination of the mechanical principle with that which is susceptible of modification". In the early 18th century, the physicians Marie François Xavier Bichat and John Hunter recognized a "living principle" in addition to mechanics. Jöns Jakob Berzelius, one of the early 19th century fathers of modern chemistry, argued that a regulative force must exist within living matter to maintain its functions. Vitalist chemists predicted that organic materials could not be synthesized from inorganic components, but Friedrich Wöhler synthesised urea from inorganic components in 1828. However, contemporary accounts do not support the common belief that vitalism died when Wöhler made urea. This Wöhler Myth, as historian Peter Ramberg called it, originated from a popular history of chemistry published in 1931, which, "ignoring all pretense of historical accuracy, turned Wöhler into a crusader who made attempt after attempt to synthesize a natural product that would refute vitalism and lift the veil of ignorance, until 'one afternoon the miracle happened'". Between 1833 and 1844, Johannes Peter Müller wrote a book on physiology called Handbuch der Physiologie, which became the leading textbook in the field for much of the nineteenth century. The book showed Müller's commitments to vitalism; he questioned why organic matter differs from inorganic, then proceeded to chemical analyses of the blood and lymph. He describes in detail the circulatory, lymphatic, respiratory, digestive, endocrine, nervous, and sensory systems in a wide variety of animals but explains that the presence of a soul makes each organism an indivisible whole. He also claimed the behavior of light and sound waves showed that living organisms possessed a life-energy for which physical laws could never fully account. Louis Pasteur (1822–1895) after his famous rebuttal of spontaneous generation, performed several experiments that he felt supported vitalism. According to Bechtel, Pasteur "fitted fermentation into a more general programme describing special reactions that only occur in living organisms. These are irreducibly vital phenomena." Rejecting the claims of Berzelius, Liebig, Traube and others that fermentation resulted from chemical agents or catalysts within cells, Pasteur concluded that fermentation was a "vital action". It would be ahistorical to ridicule vitalists. When one reads the writings of one of the leading vitalists like Driesch one is forced to agree with him that many of the basic problems of biology simply cannot be solved by a philosophy as that of Descartes, in which the organism is simply considered a machine... The logic of the critique of the vitalists was impeccable. Vitalism has become so disreputable a belief in the last fifty years that no biologist alive today would want to be classified as a vitalist. Still, the remnants of vitalist thinking can be found in the work of Alistair Hardy, Sewall Wright, and Charles Birch, who seem to believe in some sort of nonmaterial principle in organisms. Other vitalists included Johannes Reinke and Oscar Hertwig. Reinke used the word neovitalism to describe his work, claiming that it would eventually be verified through experimentation, and that it was an improvement over the other vitalistic theories. The work of Reinke influenced Carl Jung. John Scott Haldane adopted an anti-mechanist approach to biology and an idealist philosophy early on in his career. Haldane saw his work as a vindication of his belief that teleology was an essential concept in biology. His views became widely known with his first book Mechanism, life and personality in 1913. Haldane borrowed arguments from the vitalists to use against mechanism; however, he was not a vitalist. Haldane treated the organism as fundamental to biology: "we perceive the organism as a self-regulating entity", "every effort to analyze it into components that can be reduced to a mechanical explanation violates this central experience". The work of Haldane was an influence on organicism. We must find a different theoretical basis of biology, based on the observation that all the phenomena concerned tend towards being so coordinated that they express what is normal for an adult organism. By 1931, biologists had "almost unanimously abandoned vitalism as an acknowledged belief." Some aspects of contemporary science make reference to emergent processes; those in which the properties of a system cannot be fully described in terms of the properties of the constituents. This may be because the properties of the constituents are not fully understood, or because the interactions between the individual constituents are also important for the behavior of the system. On the one hand, many scientists and philosophers regard emergence as having only a pseudo-scientific status. On the other hand, new developments in physics, biology, psychology, and cross-disciplinary fields such as cognitive science, artificial life, and the study of non-linear dynamical systems have focused strongly on the high level 'collective behaviour' of complex systems, which is often said to be truly emergent, and the term is increasingly used to characterize such systems. Emmeche et al. (1998) state that "there is a very important difference between the vitalists and the emergentists: the vitalist's creative forces were relevant only in organic substances, not in inorganic matter. Emergence hence is creation of new properties regardless of the substance involved." "The assumption of an extra-physical vitalis (vital force, entelechy, élan vital, etc. ), as formulated in most forms (old or new) of vitalism, is usually without any genuine explanatory power. It has served altogether too often as an intellectual tranquilizer or verbal sedative—stifling scientific inquiry rather than encouraging it to proceed in new directions." 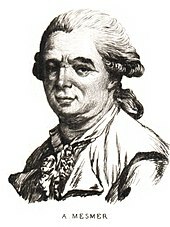 Franz Mesmer proposed the vitalist force of magnétisme animal in animals with breath. Mesmer chose his term to clearly distinguish his variant of magnetic force from those referred to, at that time, as mineral magnetism, cosmic magnetism and planetary magnetism. Mesmer felt that this particular force/power only resided in the bodies of humans and animals. Mesmer chose the word "animal," for its root meaning (from Latin animus="breath") specifically to identify his force as a quality that belonged to all creatures with breath; viz., the animate beings: humans and animals. Mesmer's ideas became so influential that King Louis XVI of France appointed two commissions to investigate mesmerism; one was led by Joseph-Ignace Guillotin, the other, led by Benjamin Franklin, included Bailly and Lavoisier. The commissioners learned about Mesmeric theory, and saw its patients fall into fits and trances. In Franklin's garden, a patient was led to each of five trees, one of which had been "mesmerized"; he hugged each in turn to receive the "vital fluid," but fainted at the foot of a 'wrong' one. At Lavoisier's house, four normal cups of water were held before a "sensitive" woman; the fourth produced convulsions, but she calmly swallowed the mesmerized contents of a fifth, believing it to be plain water. The commissioners concluded that "the fluid without imagination is powerless, whereas imagination without the fluid can produce the effects of the fluid." Vitalism has a long history in medical philosophies: many traditional healing practices posited that disease results from some imbalance in vital forces. In the Western tradition founded by Hippocrates, these vital forces were associated with the four temperaments and humours; Eastern traditions posited an imbalance or blocking of qi or prana. One example of a similar notion in Africa is the Yoruba concept of ase. Today forms of vitalism continue to exist as philosophical positions or as tenets in some religious traditions. Complementary and alternative medicine therapies include energy therapies, associated with vitalism, especially biofield therapies such as therapeutic touch, Reiki, external qi, chakra healing and SHEN therapy. In these therapies, the "subtle energy" field of a patient is manipulated by a practitioner. The subtle energy is held to exist beyond the electromagnetic energy produced by the heart and brain. Beverly Rubik describes the biofield as a "complex, dynamic, extremely weak EM field within and around the human body...."
The founder of homeopathy, Samuel Hahnemann, promoted an immaterial, vitalistic view of disease: "...they are solely spirit-like (dynamic) derangements of the spirit-like power (the vital principle) that animates the human body." The view of disease as a dynamic disturbance of the immaterial and dynamic vital force is taught in many homeopathic colleges and constitutes a fundamental principle for many contemporary practising homeopaths. The 17th century French playwright Molière mocked vitalism in his 1673 play Le Malade imaginaire. Vitalism has sometimes been criticized as begging the question by inventing a name. Molière had famously parodied this fallacy in Le Malade imaginaire, where a quack "answers" the question of "Why does opium cause sleep?" with "Because of its dormitive virtue (i.e., soporific power)." Thomas Henry Huxley compared vitalism to stating that water is the way it is because of its "aquosity". His grandson Julian Huxley in 1926 compared "vital force" or élan vital to explaining a railroad locomotive's operation by its élan locomotif ("locomotive force"). Bechtel states that vitalism "is often viewed as unfalsifiable, and therefore a pernicious metaphysical doctrine." For many scientists, "vitalist" theories were unsatisfactory "holding positions" on the pathway to mechanistic understanding. In 1967, Francis Crick, the co-discoverer of the structure of DNA, stated "And so to those of you who may be vitalists I would make this prophecy: what everyone believed yesterday, and you believe today, only cranks will believe tomorrow." While many vitalistic theories have in fact been falsified, notably Mesmerism, the pseudoscientific retention of untested and untestable theories continues to this day. Alan Sokal published an analysis of the wide acceptance among professional nurses of "scientific theories" of spiritual healing. (Pseudoscience and Postmodernism: Antagonists or Fellow-Travelers?). Use of a technique called therapeutic touch was especially reviewed by Sokal, who concluded, "nearly all the pseudoscientific systems to be examined in this essay are based philosophically on vitalism" and added that "Mainstream science has rejected vitalism since at least the 1930s, for a plethora of good reasons that have only become stronger with time." "Vitalism is that rejected tradition in biology which proposes that life is sustained and explained by an unmeasurable, intelligent force or energy. The supposed effects of vitalism are the manifestations of life itself, which in turn are the basis for inferring the concept in the first place. This circular reasoning offers pseudo-explanation, and may deceive us into believing we have explained some aspect of biology when in fact we have only labeled our ignorance. 'Explaining an unknown (life) with an unknowable (Innate),' suggests chiropractor Joseph Donahue, 'is absurd'." "Chiropractors are not unique in recognizing a tendency and capacity for self-repair and auto-regulation of human physiology. But we surely stick out like a sore thumb among professions which claim to be scientifically based by our unrelenting commitment to vitalism. So long as we propound the 'One cause, one cure' rhetoric of Innate, we should expect to be met by ridicule from the wider health science community. Chiropractors can't have it both ways. Our theories cannot be both dogmatically held vitalistic constructs and be scientific at the same time. The purposiveness, consciousness and rigidity of the Palmers' Innate should be rejected." "Vitalism has many faces and has sprung up in many areas of scientific inquiry. Psychologist B.F. Skinner, for example, pointed out the irrationality of attributing behavior to mental states and traits. Such 'mental way stations,' he argued, amount to excess theoretical baggage which fails to advance cause-and-effect explanations by substituting an unfathomable psychology of 'mind'." According to Williams, "[t]oday, vitalism is one of the ideas that form the basis for many pseudoscientific health systems that claim that illnesses are caused by a disturbance or imbalance of the body's vital force." "Vitalists claim to be scientific, but in fact they reject the scientific method with its basic postulates of cause and effect and of provability. They often regard subjective experience to be more valid than objective material reality." Victor Stenger states that the term "bioenergetics" "is applied in biochemistry to refer to the readily measurable exchanges of energy within organisms, and between organisms and the environment, which occur by normal physical and chemical processes. This is not, however, what the new vitalists have in mind. They imagine the bioenergetic field as a holistic living force that goes beyond reductionist physics and chemistry." Such a field is sometimes explained as electromagnetic, though some advocates also make confused appeals to quantum physics. Joanne Stefanatos states that "The principles of energy medicine originate in quantum physics." Stenger offers several explanations as to why this line of reasoning may be misplaced. He explains that energy exists in discrete packets called quanta. Energy fields are composed of their component parts and so only exist when quanta are present. Therefore, energy fields are not holistic, but are rather a system of discrete parts that must obey the laws of physics. This also means that energy fields are not instantaneous. These facts of quantum physics place limitations on the infinite, continuous field that is used by some theorists to describe so-called "human energy fields". Stenger continues, explaining that the effects of EM forces have been measured by physicists as accurately as one part in a billion and there is yet to be any evidence that living organisms emit a unique field. Vitalistic thinking has also been identified in the naive biological theories of children: "Recent experimental results show that a majority of preschoolers tend to choose vitalistic explanations as most plausible. Vitalism, together with other forms of intermediate causality, constitute unique causal devices for naive biology as a core domain of thought." ^a Stéphane Leduc and D'Arcy Thompson (On Growth and Form) published a series of works that in Evelyn Fox Keller's view took on the task of uprooting the remaining vestiges of vitalism, essentially by showing that the principles of physics and chemistry were enough, by themselves, to account for the growth and development of biological form. On the other hand, Michael Ruse notes that D'Arcy Thompson's avoidance of natural selection had an "odor of spirit forces" about it. ^ Williams, Elizabeth Ann (2003). A Cultural History of Medical Vitalism in Enlightenment Montpellier. Ashgate. p. 4. ISBN 978-0-7546-0881-3. ^ Jidenu, Paulin (1996) African Philosophy, 2nd Ed. Indiana University Press, ISBN 0-253-21096-8, p.16. ^ In 1845, Adolph Kolbe succeeded in making acetic acid from inorganic compounds, and in the 1850s, Marcellin Berthelot repeated this feat for numerous organic compounds. In retrospect, Wöhler's work was the beginning of the end of Berzelius's vitalist hypothesis, but only in retrospect, as Ramberg had shown. From p. 95: "Vitalism survived even longer in the writings of philosophers than it did in the writings of physicists. But so far as I know, there are no vitalists among the philosophers of biology who started publishing after 1965. Nor do I know of a single reputable living biologist who still supports straightforward vitalism. The few late twentieth-century biologists with vitalist leanings (A. Hardy, S. Wright, A. Portmann) are no longer alive. ^ Schultz, S.G. (1998). "A century of (epithelial) transport physiology: from vitalism to molecular cloning". The American Journal of Physiology. 274 (1 Pt 1): C13–23. PMID 9458708. ^ Gilbert, S.F. ; Sarkar, S. (2000). "Embracing complexity: organicism for the 21st century". Developmental Dynamics. 219 (1): 1–9. doi:10.1002/1097-0177(2000)9999:9999<::AID-DVDY1036>3.0.CO;2-A. PMID 10974666. ^ Best, M.; Neuhauser, D.; Slavin, L. (2003). "Evaluating Mesmerism, Paris, 1784: the controversy over the blinded placebo controlled trials has not stopped". Quality & safety in health care. 12 (3): 232–3. doi:10.1136/qhc.12.3.232. PMC 1743715. PMID 12792017. ^ "Complementary and Alternative Medicine – U.S. National Library of Medicine Collection Development Manual". Retrieved 2008-03-31. ^ Crick, Francis (1967) Of Molecules and Men; Great Minds Series Prometheus Books 2004, reviewed here. Crick's remark is cited and discussed in: Hein H (2004) Molecular biology vs. organicism: The enduring dispute between mechanism and vitalism. Synthese 20:238–253, who describes Crick's remark as "raising spectral red herrings". ^ a b Pseudoscience and Postmodernism: Antagonists or Fellow-Travelers? Vitalists claim to be scientific, but in fact they reject the scientific method with its basic postulates of cause and effect and of provability. They often regard subjective experience to be more valid than objective material reality. Today, vitalism is one of the ideas that form the basis for many pseudoscientific health systems that claim that illnesses are caused by a disturbance or imbalance of the body's vital force. ^ a b c Stenger, Victor J. (Spring–Summer 1999). "The Physics of 'Alternative Medicine': Bioenergetic Fields". The Scientific Review of Alternative Medicine. 3 (1). Archived from the original on 2006-12-18. Retrieved 2006-12-03. ^ Stefanatos, J. 1997, Introduction to Bioenergetic Medicine, Shoen, A.M. and S.G. Wynn, Complementary and Alternative Veterinary Medicine: Principles and Practices, Mosby-Yearbook, Chicago. ^ Inagaki, K.; Hatano, G. (2004). "'Vitalistic causality in young children's naive biology.'". Trends Cogn Sci. 8 (8): 356–62. doi:10.1016/j.tics.2004.06.004. PMID 15335462. ^ Evelyn Fox Keller, Making Sense of Life Explaining Biological Development with Models, Metaphors, and Machines. Harvard University Press, 2002. ^ Ruse, Michael (2013). "17. From Organicism to Mechanism-and Halfway Back?". In Henning, Brian G.; Scarfe, Adam (eds.). Beyond Mechanism: Putting Life Back Into Biology. Lexington Books. p. 419. For vital force and vitalism in the Spanish context, see Nicolás Fernández-Medina’s Life Embodied: The Promise of Vital Force in Spanish Modernity (McGill-Queen’s UP, 2018). This page was last edited on 19 April 2019, at 12:29 (UTC).